Disinheriting the Jews is a scholarly work of great interest and significance for both Christians and Jews. Jeffery Siker shows how strongly the figure of Abraham has shaped our religious identities. 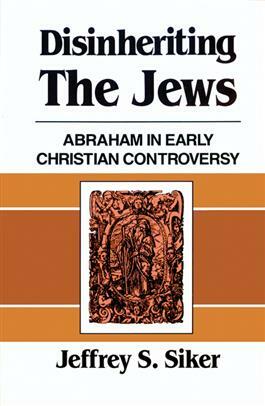 He also uses the portrayals of Abraham by early Christians as a new means of understanding the dynamics involved in the church's separation and estrangement from Judaism. Siker argues that the separation was precipitated by historical contingencies more so than by Christian identity, and in so doing suggests self-corrections that could mend the rift between Christianity and Judaism.